This is your brain on black and white cookie. But not just any black and white cookie--the unique version at Antoine's Pastry Shop of Newton, Massachusetts. 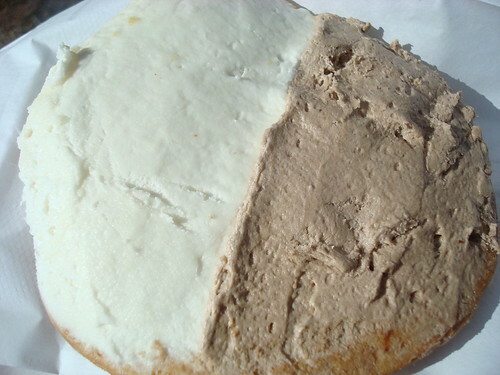 Let's get one thing straight, right from the get-go: this is not a traditional black and white cookie. It has a buttercream frosting, for one thing, and a coarse-crumbed, slightly dry cake texture on the cookie part. But I found it delightful. It somehow managed to taste like grocery-store birthday cake meets big old-fashioned bakery cookie, and to me, this made for an enchanting taste of nostalgia: like all sorts of childhood treats and forbidden pleasures all rolled into one. 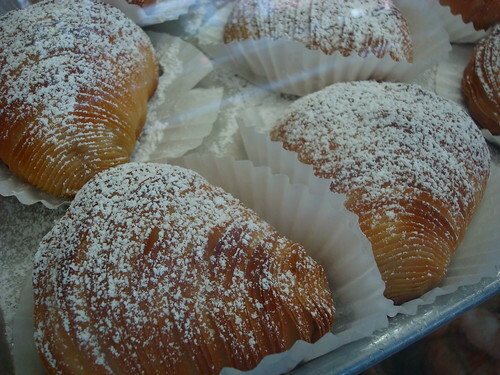 Of course, if my Proustian recounting of cookie-eating days past sort of love for this treat doesn't appeal, you could always go for the old-school bakery standards, such as sfogiatelle, butter cookies, or eclairs and cream puffs. The appeal of a place like Antoine's isn't that they are "the best" - it is that they are good, and that they are a neighborhood tradition. I'm not saying this in a backhanded compliment sort of way--it's just kind of the way it is. 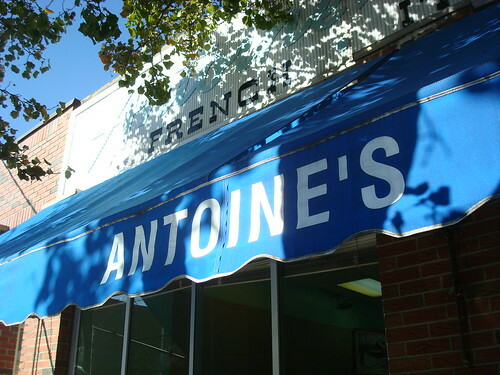 Antoine's is a solid and dependable sort of place, and if you find yourself in Newton, I vote that you go in for a taste of something sweet. Antoine's Pastry Shop, 317 Watertown Street, Newton, MA.